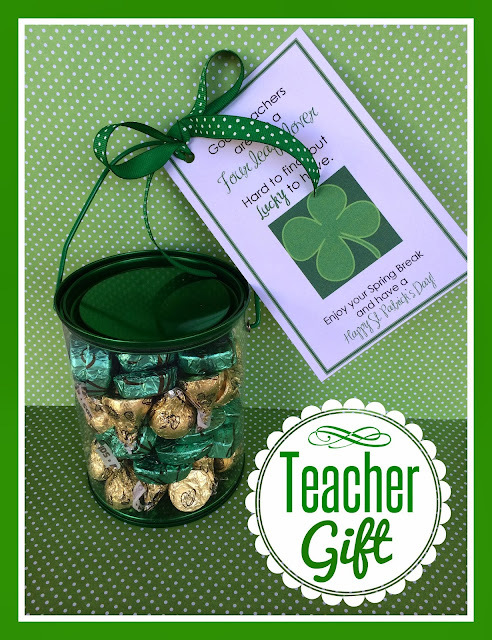 Marci Coombs: St. Patrick's Day Teacher Treats. 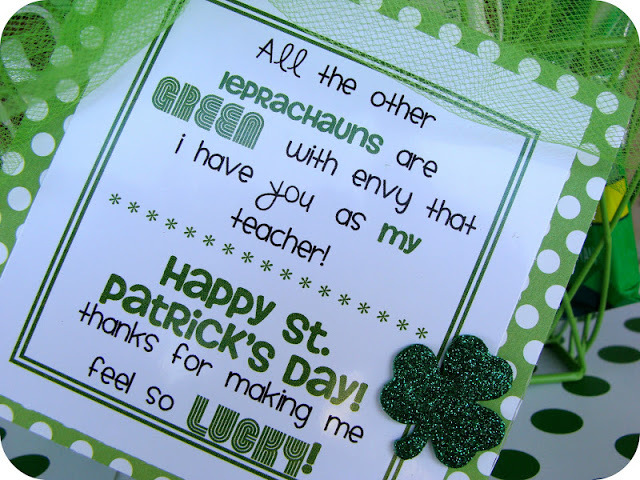 Before we know it, it'll be the middle of March and St. Patrick's Day will be here. Whether you celebrate the holiday or not - it never hurts to spoil your teachers a little with some GREEN treats. These ideas could work for school OR church teachers. 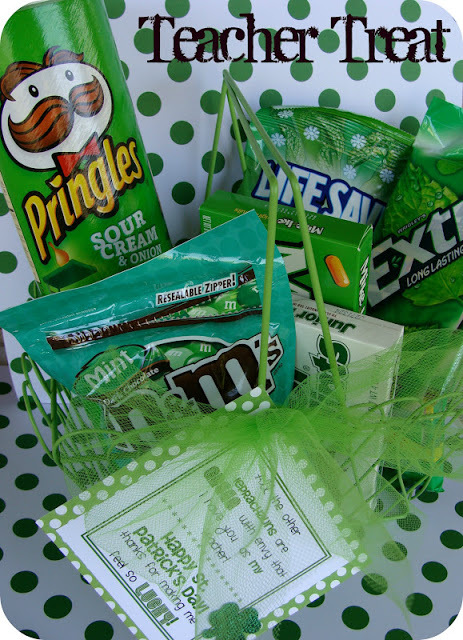 This one is fun because you basically just grab anything GREEN that you see at the store in your treat aisle! Throw em all together in a basket and you're set! Unfortunately, this tag did not save to my computer years back - - but it should be fairly easy to re-create. If you're super desperate - - just hand write it out on a tag! 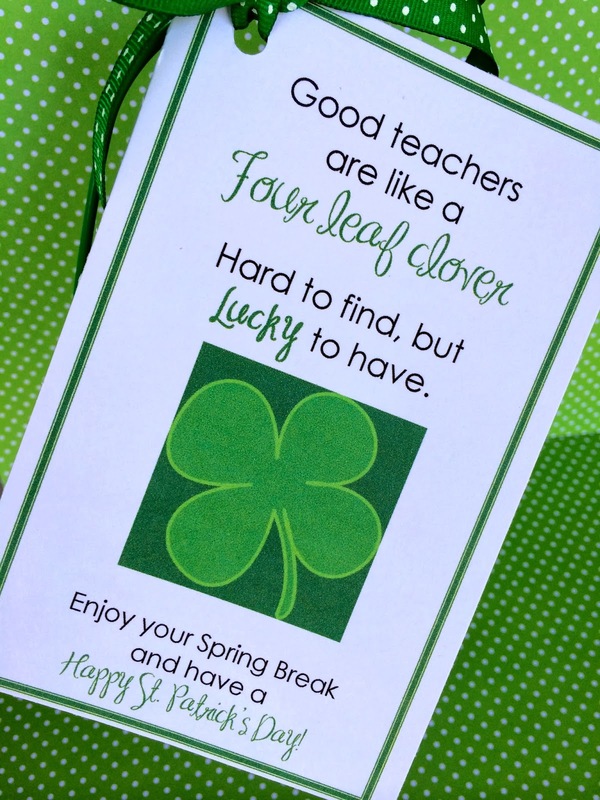 Teacher Appreciation Lunch + Sonic Drink Day. EGG-ing your Neighbors + free printable!